This piece of silk in rosy and browny shades was waiting for me in a drawer for over a year. It took a marriage party and a sudden urge to attack difficult materials to get me to sew again. I had not touched my sewing machine since last September, too busy in my new job. Fortunately, having constraints (such as not finding the right dress) pushed me to action. I had a terrible time to choose the model as I had too many ideas: dozens of images collected for years on my Pinterest board reflect my love for lace. I started with a simple line (H shape dress with elastic waist), which already gives less formal look to silk which is so noble. I then cut a rectangle in lace that I positioned diagonally to create long pleats at the shoulders. The model seemed simple and I started to assembly it with optimism. 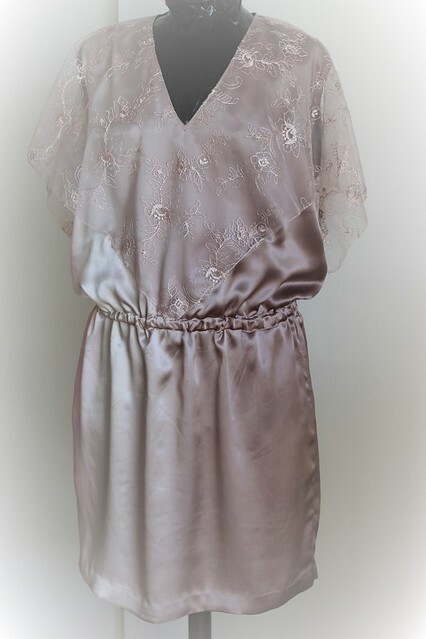 As usual, the simplicity with silk is only apparent because the finishes require a slow and careful sewing. 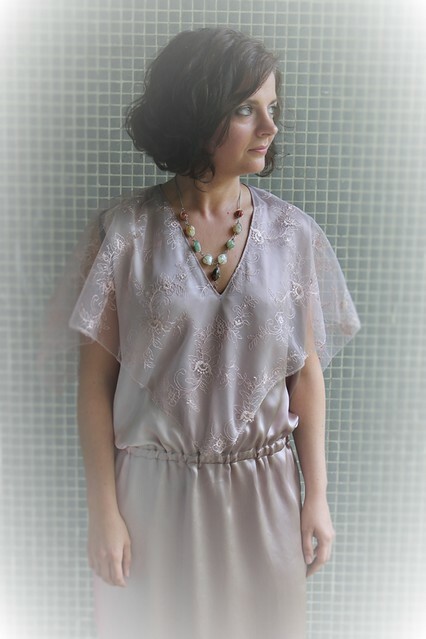 Dress was finished a day before and photographed the same day, before leaving under the gray, threatening and so frequent thunderstorms of this month of June. 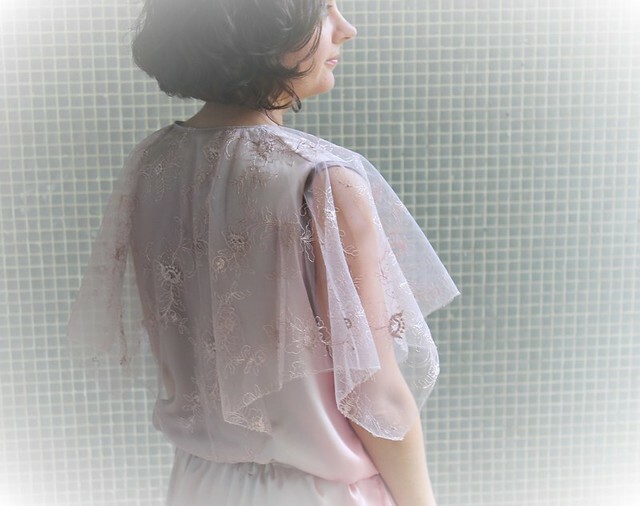 In my creative fever, I finished a second silk and lace dress, that I will show you soon, hopefully.